Why do we get food cravings? Cravings are important messages sent by our bodies that something is missing from our diet. They are powerful signs that may aid in creating and maintaining balance. But cravings can also occur for other reasons. Ever heard the stereotype about pregnant women having cravings? Well, it is due to a hormonal imbalance, but you can experience this when you are not pregnant too. Stress and emotions can also play a huge role in creating cravings. 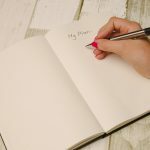 One of the biggest causes is when your body is lacking in nutrients, certain cravings such as salty foods or sugary foods are your bodies way of calling out for what it is missing. Later in this article, we will look at how to avoid causing cravings to help you stick to a healthy diet. Below is a table that explains exactly what your body needs depending on what sort of craving you have. When trying to avoid cravings, it is important to be mindful. Being aware of what you are doing and diverting the behavior can help to curb the craving. It is also important to stay hydrated, thirst can sometimes masquerade as hunger making you seem hungrier than you are. Water also helps to flush our toxins from the body. Stress can play a huge role when you get those cravings, did you ever get the urge to comfort eat when upset? This is a classic example of how stress can trigger cravings. A lack of sleep causes our hormones to be imbalanced which equals more cravings. Ensure you are getting a good night’s rest. 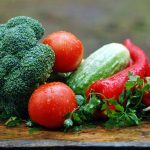 If you are on a diet or trying to lose weight, then ensure you are eating enough. You can still eat plenty of food, just choose the right type of foods. Undereating can cause cravings to go wild. If you have a sweet tooth and enjoy snacking, then the Amsety Bar would be a perfect substitute. 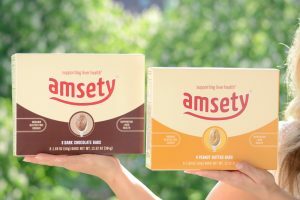 Containing no refined sugars, low in salt, non-GMO, organic and gluten-free, the Amsety Bar provides you with the taste of a snack bar but in a healthy way. Amsety Bars contain sixteen vitamins and minerals that support liver health and liver function. 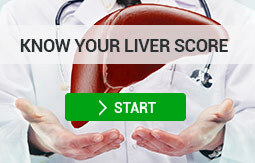 Find out about the nutrition bar that 99% of liver health experts would recommend!